Medlock pitched five scoreless innings in the 5-1 victory over Salem. 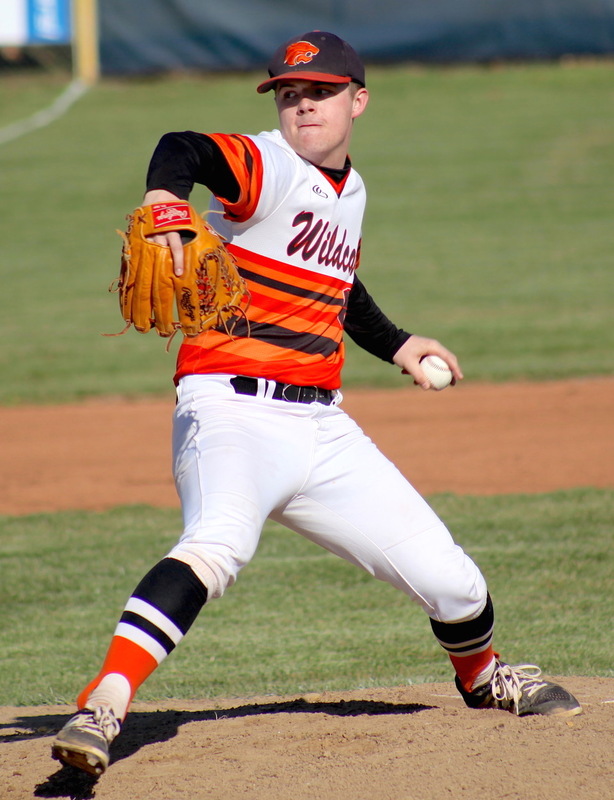 SALEM — The Licking Wildcats built an early lead Tuesday night (March 26) at Salem and held off the Tigers for a 5-1 victory. Wilson Murray drove in Seth Farris in the second inning to put Licking in front. Michael Milhizer’s two-run double keyed a three-run third for the Wildcats. Connor Medlock held Salem at bay with five scoreless innings on the mound. The senior allowed two hits, one walk, and struck out eight. Licking stretched the lead to five with an insurance tally in the sixth. Carter Rinne plated Murray, who singled to lead off the frame. Salem answered with one run on three hits in the bottom of the sixth to chase reliever Levi Cantrell. Cainan Hutsell avoided further damage and threw a scoreless seventh to close the game. Medlock improved to 2-0 with the win and Hutsell earned his first save. The victory moved Licking’s record to 3-1 on the season. Milhizer sparked the offense with a 2-for-4 performance that included two runs-batted-in. In the JV game, Salem defeated Licking 10-0. Landon Medlock was a bright spot for the JV ‘Cats as he pitched three innings and permitted two runs on four hits and fanned seven.